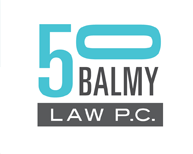 Trademark Law | 50 Balmy Law P.C. Protected the trademarks and identity of San Francisco Pride for 15 years, and won the rights in Dykes on Bikes for the San Francisco Women’s Motorcycle Contingent. Stopped multiple incidences of infringement of the yummy Divine Delights trademark in baked goods. Our Trademark Primer provides basic information about seeking and maintaining trademark protection.